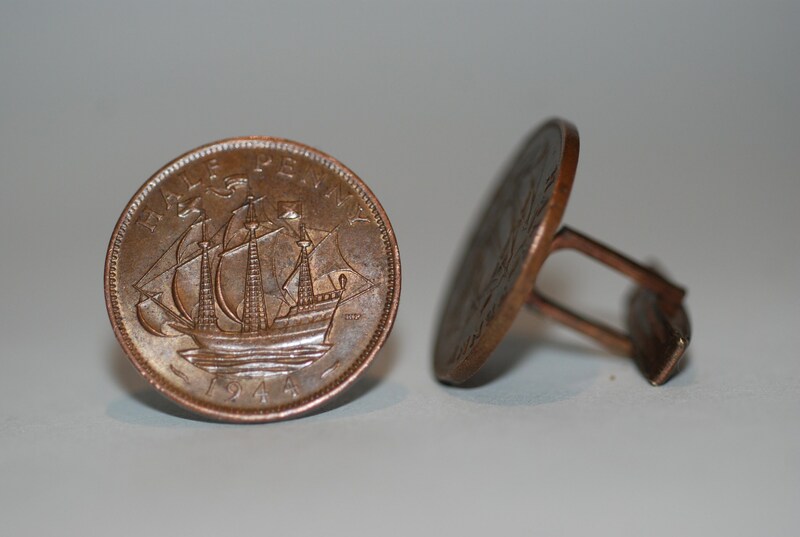 This is a 1950s-'60s era s pair of cufflinks made by soldering a shank onto a pair of ha'pennies. The half pennies have two different dates: 1942 and 1944. The shank swivels work well and the copper coins have not been polished. Pease remember that all sales are final, so please be sure when you buy. Please view all pics for size and detail, they constitute part of the description. 1930s era Gold Filled Art Deco Design Cuff Links -- Free US Shipping! Victorian era Gold Filled Three Link Face Cuff Links -- Free US Shipping! 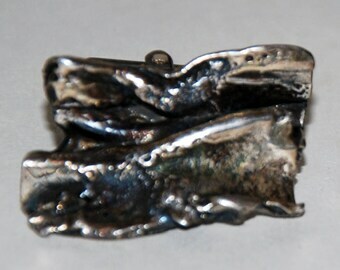 1920s-'30s Era 14K Gold & Platinum Cuff Links -- Free US Shipping!